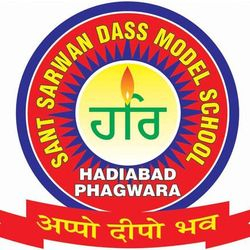 Sant Sarwan Dass Model School, Hadiabad, Phagwara, India. Education is must to All. The school draws its inspiration form Sant Sarwan Dass Ji. He is widely known among his disciples for his keenness for the upliftment of the downtrodden. Sant Sarwan Dass Ji envisaged a great awakening and empowerment of human beings through education. Therefore he laid a great stress on the education of children. He firmly believed that those parents who do not care for the education of their children are their greatest enemies. He translated this idea in practice in his own life by collecting children from adjoining villages in his “Kutiya” (hut) and teaching them, providing them with all facilities and incentives. 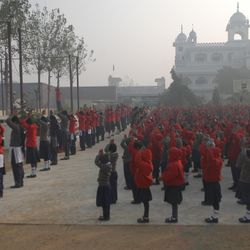 He opened an informal primary school within the premises of the Dera. He taught the poor children Punjabi and trained them in reciting Gurbani (Sacred text of Guru Granth Sahib) correctly. He used to feed them with rice pudding and sweet bread on every Sunday. There is a general belief among the followers of Dera Ballan that whosoever was taught by Sant Sarwan Dass Ji became an officer in Government service. All the chiefs of the Dera who followed him made concerted efforts towards the fulfillment of these vital concerns for the upliftment of the downtrodden. 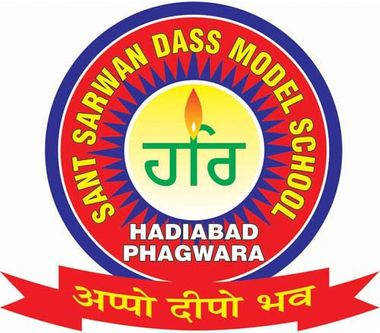 The present Gaddi-Nashin (spiritual leader) Sant Niranjan Dass Ji decided to have a school dedicated to the memory of Sant Sarwan Dass Ji and he laid the foundation stone of Sant Sarwan Dass Model School at Hadiabad, Phagwara on 16th April 2002. A beautiful and spacious building has been built for the school. Inaguration of the school was done by Sant Niranjan Dass Ji on 5th April 2004. 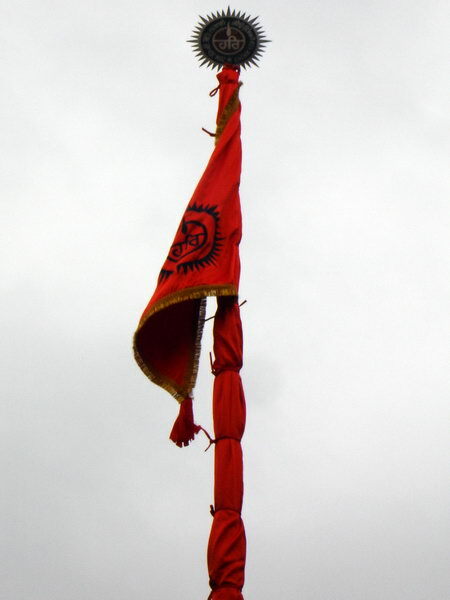 It is a co-educational institution and it is open to students of all castes and creed. The moto of the school is “Appo Deepo Bhav” that is be your own light. 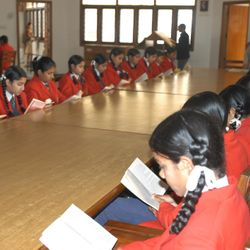 The school is affiliated to the CENTRAL BOARD OF SECONDARY EDUCATION, NEW DELHI up to +2 level. It has got affiliation for Medical, Non-Medical and Huminities groups. It has classes starting from nursery level. The school has 29 spacious, well ventilated and well-lit classrooms as well as an administrative block. 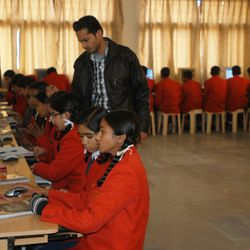 The school has three science labs, a well stocked library, audio-visual lab, computer lab, language lab and other rooms required for various co-curricular activities. All the students are members of the library. The school has sufficient play grounds for the physical development of the students. The school has a fleet of its own buses for smooth commuting of students from their homes. A 62.5 KVA diesel generator has been installed in the school so that the students do not suffer during power breakdowns. To ensure good sanitary conditions in the school, a safe drinking water facility with water purifier has been provided. Fire extinguishers have been installed in the school building. The extension of the building is a continuous process. The students from class I upwards are divided into four houses to involve students in the functioning of the school.